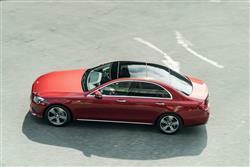 Some full-sized Executive saloons claim to be sporty: BMW's 5 Series, Jaguar's XF. Others, like this one, simply don't feel the need to try that hard - unless an AMG V8 happens to beat beneath the bonnet. 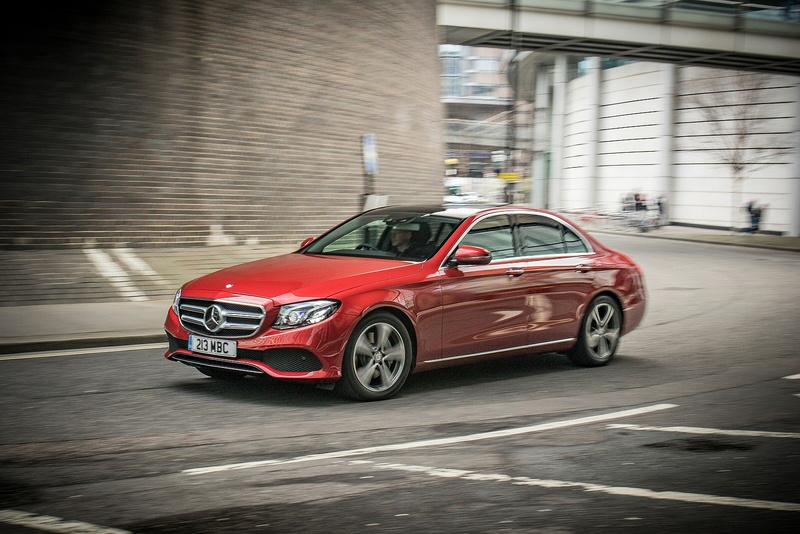 There's a base 184hp E200 petrol variant if you want it but almost all E-Class buyers select a diesel, probably the four cylinder 2.0-litre 194hp biturbo unit you'll find in the E220d most customers are going to choose. The gearbox it comes mated to is a nine-speed 9G-Tronic auto. 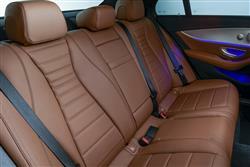 Rest to 62mph here occupies 7.3s and there's the option of 4MATIC 4WD if you want it. Those in search of more diesel performance are offered a 3.0-litre six cylinder unit in the E400d putting out 340hp and capable of rest to 62mph in 4.9s. 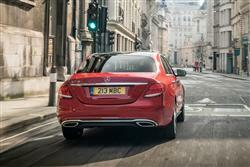 E400d variants come only with 4MATIC 4WD. 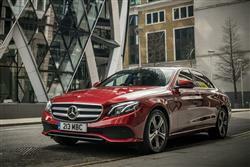 There are also a couple of 'EQ Power' Plug-in hybrids, both of which mate a 2.0-litre combustion engine with a 122hp electric motor - namely the E300 de diesel derivative and the E300e petrol variant. Further up the range, there are various Mercedes-AMG petrol performance variants. 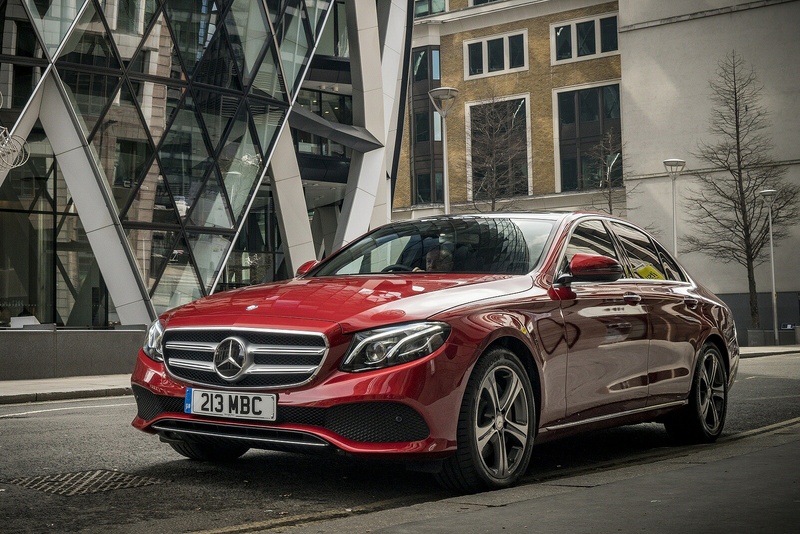 The E 53 4MATIC+ derivative uses a 3.0-litre biturbo inline six cylinder engine featuring the brand's latest EQ boost technology and putting out 435hp. Beyond that, there's the 4.0-litre V8 E 63 4MATIC+ models. 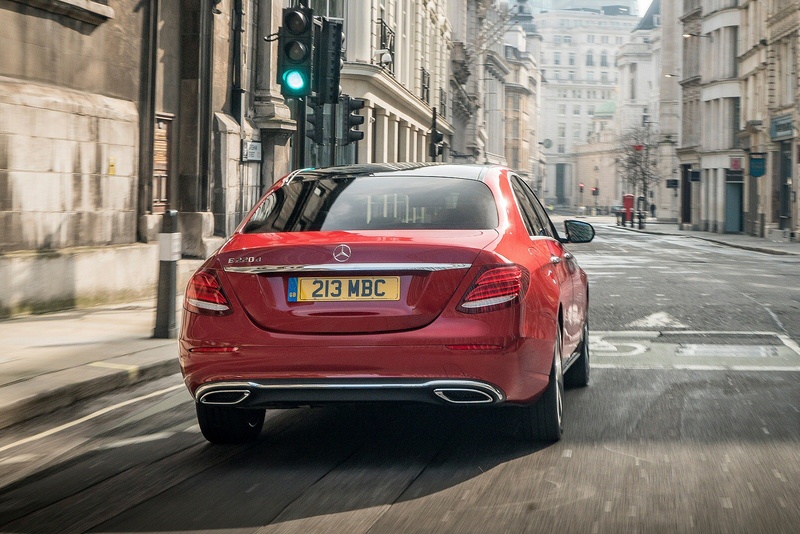 Even on mainstream E-Class models, handling should be sharper than you might expect, thanks to various 'Direct Control' suspension systems with selective damping. 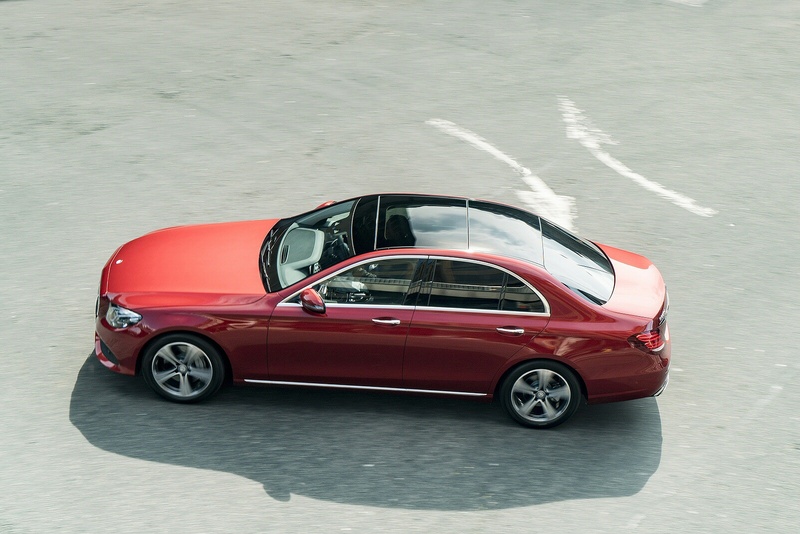 There's also the option of an 'Air Body Control multi-chamber air suspension' set-up offering the kind of pillowy ride that previously, you could only find on a larger Mercedes S-Class-sized Luxury saloon. A 'Dynamic Select' switch in the cockpit enables the driver to select from four 'Air Body Control' modes: 'Comfort', 'ECO', 'Sport' and 'Sport+'. The additional 'Individual' option allows drivers to configure their vehicle to suit their own preferences. If you�re looking for a new Mercedes-Benz E-Class E 200 SE Premium 4dr 9G-Tronic Petrol Saloon for sale, you�ve come to the right place. 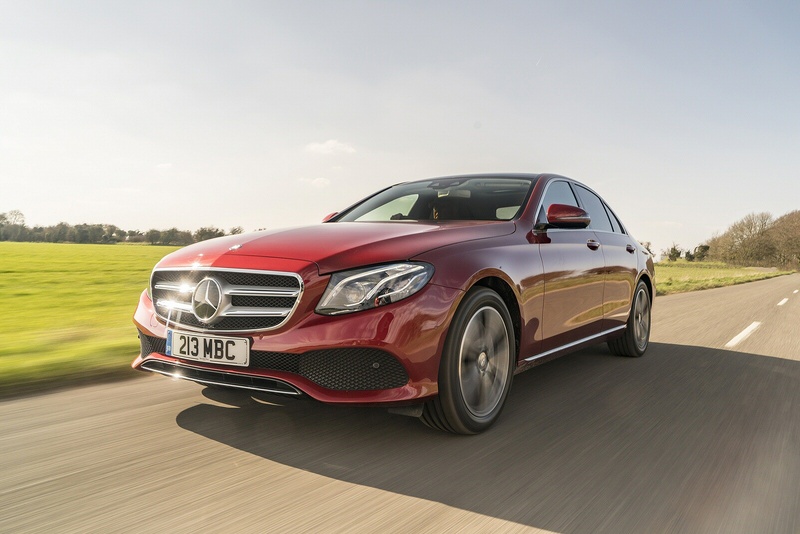 At Bristol Street Motors we don�t just have the best Mercedes-Benz E-Class E 200 SE Premium 4dr 9G-Tronic Petrol Saloon deals, we also offer friendly advice and help with all your enquiries to ensure your buying experience is a happy experience. Terms & Conditions: Every effort has been made to ensure the accuracy of the information shown. However, errors do sometimes occur. 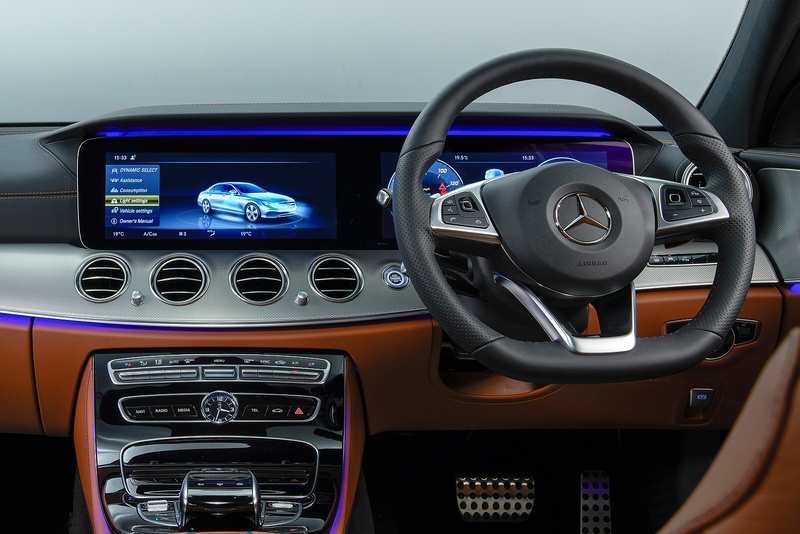 The specification of each vehicle listed on the Vertu Mercedes-Benz website is provided by "CAP". Please note that the Images of each vehicle are range shots, these can include images which do not reflect the precise details of the vehicle you are looking at and are purely used for illustrative purposes. The inclusion of such data does not imply any endorsement of any of its content nor any representation as to its accuracy. We do not charge a fee for introduction to a finance provider; however we may or may not receive a commission.